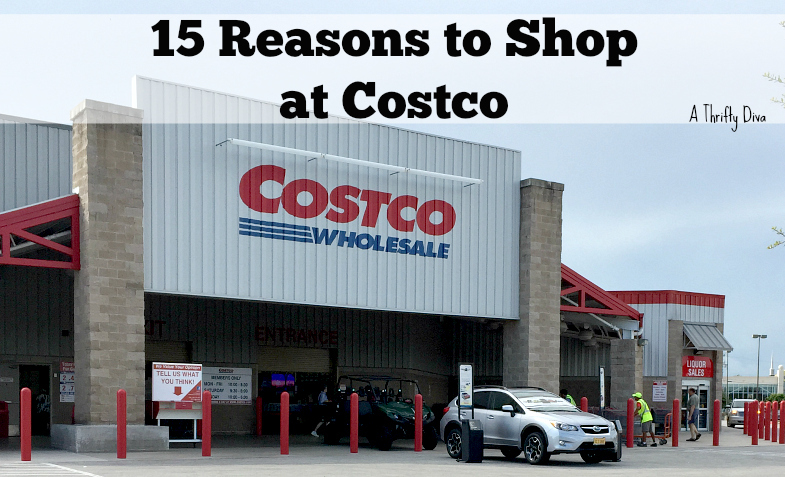 In truth there are tons of reasons to shop at Costco not just 15, and no you don’t have to have a minivan full of kids to benefit from Costco shopping. In fact you could be a young, single, college student… gasp. Really anyone can benefit from a little bulk shopping. Costco can be a bit overwhelming at times, it is crowded and bulk items may seem like they would last you an eternity. But, even I can go through a bulk box of Kirkland Signature granola bars without any help in a few weeks. Want to skip the overwhelming Costco trip? Shop Costco on a weekday afternoon, when they tend to be less packed. I have found going after 3 PM on a weekday is a legit time to go. Shop smart and efficient, check the deals beforehand. If you don’t own a food saver invest in one pronto. Also invest in baggies to store items in the fridge. A food saver will take the worry out of purchasing meats in bulk, you can even have your Costco butcher cut up your items to make storing at home easier. If you purchase anything at Costco and you are not happy with it, return it for a full refund. The selling point for me purchasing an Executive Membership was the fact that I could get a refund if I didn’t benefit from it. I saw someone return a bag of open peanuts last week, so basically if you buy it, try it and don’t like it; return it. Yes you can get the Costco Gold Star Membership for $55 and it’s half the price. But, if you really want to take advantage of Costco benefits get the Executive Membership. You will receive 2% back on your Costco purchases (does not apply to gasoline, stamps, gift card, tobacco and liquor) as well as additional values on member services (free roadside assistance for vehicles covered through the auto insurance program; and extra travel benefits). The key to making the executive membership worth it, is to take advantage of all of the Costco services. From insurance to vacations you can quickly get back the $110 investment. Delicious rotisserie chicken is not only priced lower than the competition. Grab a $4.99 Rotisserie, fresh bakery bread and a side of frozen vegetables and you have got yourself a family meal for under $10.00. 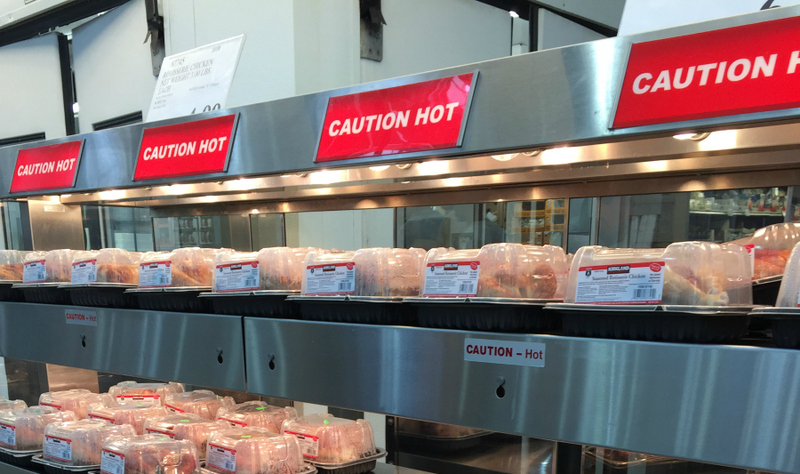 Costco rotisseries are fresh and only stay on the line for two hours. If they haven’t been purchased they will be used to make those delicious deli items, chicken salad anyone? I absolutely love quality products. The private Kirkland Signature label allows Costco to drive down prices even more and compete with national brands to deliver high value items at lower prices. Six Kirkland Signature items I have become obsessed with. 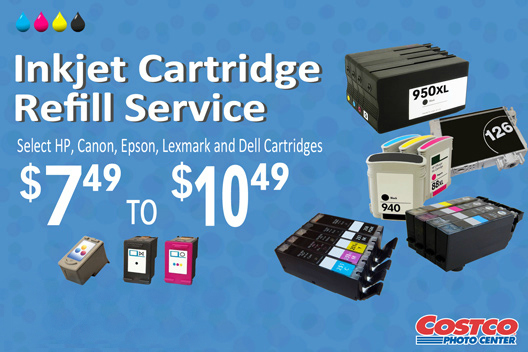 Bring your old cartridges in to Costco to be refilled at $10.49 or less. CMPP offers Costco members with no insurance or if your insurance neglects to cover certain prescriptions, a discount. CMPP offers lower prices with a savings of 2% – 40% off. Costco’s pharmacy is competitive and less expensive than other pharmacies. Also you do not have to become a Costco member or join CMPP to purchase. Have a pet? Bring your pets prescription to Costco to get the lowest price on their prescription as well. Purchase the two-year Costco warranty and receive concierge service for your television, computer and projectors. Looking for your next car? Use your Costco Membership to buy your next vehicle and save. Ameriprise insurance offers exclusive discounts to Costco members only. Costco members save an average of $523.28 on auto insurance in the first year when they switch! Hows that for a return on that $110 membership investment?! Use Costco Travel to take your next vacation. Costco Travel sells exclusively to Costco members who reside in the United States, negotiating the best value to Costco members. If you are an Executive member take advantage of the added benefits available to executive members only. Looking for an impressive meal deal?! Head to the Costco food court. A Hot Dog & Soda for a $1.5o and a whole pizza for $9.95 is the real winner here. 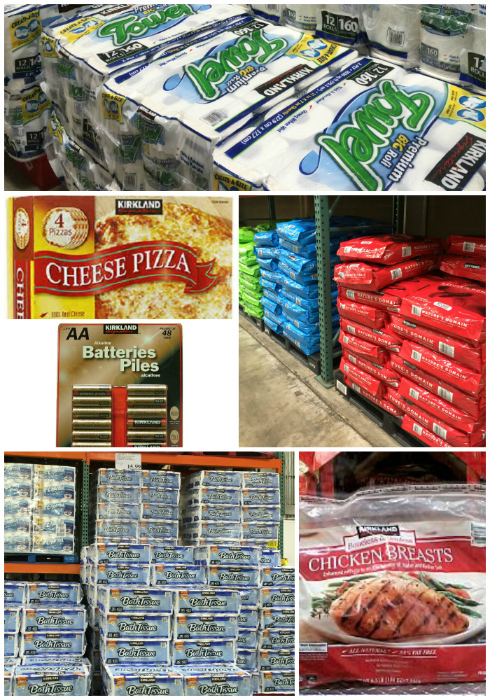 Although Costco doesn’t take coupons they offer in-store and online instant savings download the Costco App for current offers. And use Coupon Deal Apps to save with your receipts. Costco is not in the market of making money off of touchscreen laptops or even a farmhouse sink. Big ticket items are part of the draw to saving money, driving down the prices keeps Costco in the business of pleasing the consumers. Perhaps I saved the best for last. Costco is just about the only place I will shop on an empty stomach. Hor d’oeuvre portion samples are a huge draw for customers. Items I usually wouldn’t have bought have become staples in my home because of the samples. Those pecan pies we have on hand during the holidays are all thanks to a sample two years ago. The Kirkland Signature pizza in my freezer is also because of those faithful samples. Do you have any more Reasons To Shop at Costco? I’d love to hear them!